Place: SKLT Barn, 17 Matunuck Beach Rd. 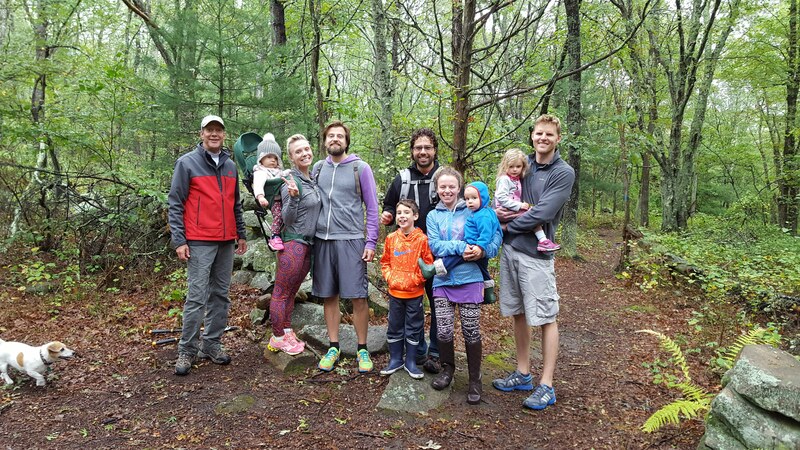 Join us for an all ages hike in our largest land holding through pine and oak forest and past amazing stone walls. We will hike about 3 miles, though you can shorten your outing to about 1 mile if desired. Kids and leashed dogs welcome! This monthly hike on first Saturdays is part of a Park Rx initiative in which healthcare providers in South County are joining a national movement to "prescribe” taking walks and spending time in nature for better physical and mental health. Click here for a trail map of Browning Woods. Join us as we introduce a new Young Naturalist Backpack Program! Patrons with a valid South Kingstown Public Library card will be able to check out one of the six backpacks filled with items that will encourage kids and families to explore more than 12 miles of SKLT’s beautiful natural areas. 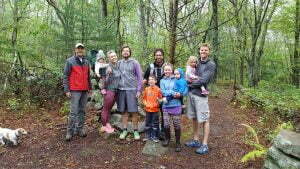 There will be a presentation by author Jeanine Silversmith from "RI Families in Nature" about hiking with kids. Refreshments will be served. This program was created with partner South Kingstown Public Library and made possible by a generous grant from Bank Newport. Join SKLT and the Narrow River Land Trust as we host Marion Stoddart, a citizen leader committed to a lifetime of grass roots organizing and coalition building for positive social and environmental change. In the early 1960s, Marion Stoddart was a Massachusetts housewife and mother of three who decided to take on the impossible - cleaning up the Nashua River, which ran through her town and was then one of the most polluted rivers in America. During her years of tenacious advocacy, Marion organized a massive citizen effort to rescue the river. She lobbied successfully for legislation, including the landmark Massachusetts Clean Waters Act. Continuing that record of success, she petitioned the Federal government for millions of dollars of promised funds to fight the pollution—and won. Today, thanks to the efforts of Marion and the Nashua River Watershed Association (the non-profit she founded), the river is clean and restored. The program will include a showing of the documentary film “Marion Stoddart: The Work of 1000 (2010)” followed by a question and answer session with Marion. The vintage footage in the film will resonate with many who recall the pollution of the Saugatucket River and inspire those of us who strive to restore and protect the rivers and watersheds in our community. Potluck begins at 6pm; video and lecture at 7pm. Free and open to the public, reservations encouraged, space is limited.